Blizzard made lots of exciting announcements yesterday during the first day of the famous BlizzCon event and one of them is Ashe, the new Overwatch hero. 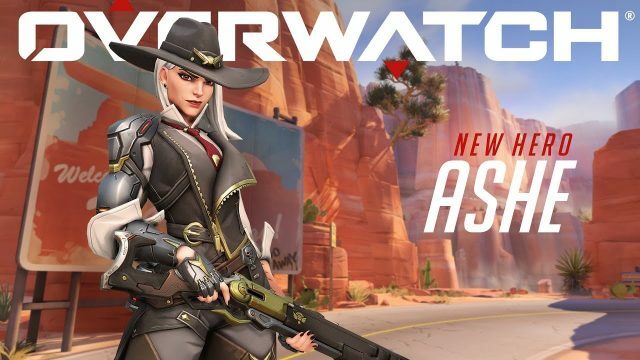 Ashe was introduced to fans through an animated short called “Reunion” which gave us a glimpse of what the hero feels like and what her Wild West themed abilities do. Blizzard has received lots of criticism for the lack of Overwatch lore, but it looks like things are about to change. The new hero Ashe has a good story behind her and she is the feared leader of the Deadlock Gang. The gang is known to do robberies in the Overwatch universe and this makes Ashe an outlaw, something that McCree might have a problem with. The awesome thing about Ashe is the fact that she gives players a chance to live out their childhood dream and become a Wild West outlaw that takes care of all problems with a shotgun in hand. This is the best description of Ashe’s abilities since she is a mid-range damage dealer that uses a shotgun. Ashe also can shoot a special type of bullet in the ground to make her jump higher and get to hard to reach spots on the map. We linked below a YouTube trailer for Ashe that reveals her entire toolkit, including her ultimate which spawns a big robot called B.O.B. According to Ashe’s lore, B.O.B. used to be her family’s butler and this is why he is always by her side. When Ashe decides to call B.O.B. for help, the giant robot will jump right into the action and he will throw all enemies to the sky and start shooting at them with his robotic arm cannons and rockets.